In our technology-enabled era, most law firms have moved away from manual processes to embrace electronic timekeeping. However, many continue to struggle with time entry accuracy and bill rejections related to noncompliance with outside counsel guidelines (OCGs). Firms know something needs to change, but so far, they haven’t found the answer. In short, they have arrived at a crossroads. 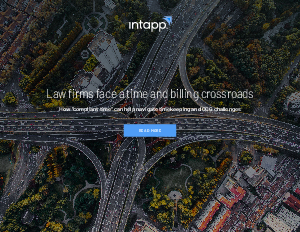 This ebook examines the gaps and inefficiencies in the current state and look at the factors that point to a need for change in time and billing technology. It also explores a better path forward: the concept of “compliant time,” which offers a new way to streamline timekeeping and improve time-capture accuracy while also ensuring adherence to OCGs. Plus: Get stats from leading researchers and quotes from top professionals that reveal the scope of—and solutions to—compliance issues.